Here's a chance to get to know Matt Goodwin, one of Spokane's most successful restaurant entrepreneurs. 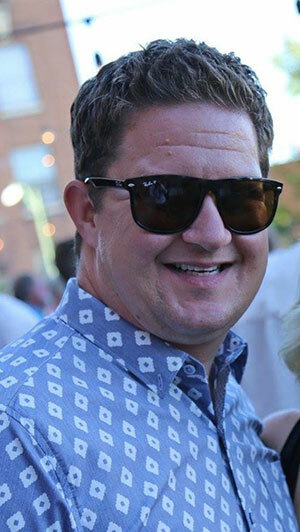 He's the co-owner of Fast Eddie's Bar and Grill, Press, the Boiler Room, Volstead Act, the Backyard Public House, and Remedy as well as a food truck. 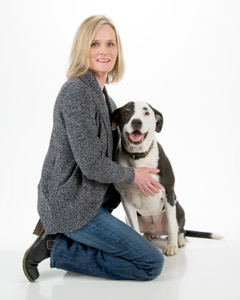 Goodwin is the featured guest who will be interviewed by Bruce VanCott, at this coming Third Tuesday event, tomorrow from 5-8pm at Chateau Rive in the Flour Mill. Admission is free. Register at Third Tuesday on Facebook. Prime Trade NW, started by Arthur and Kimberly Shaw in October of 2015, is an independent brokerage within the ITEX barter network. ITEX allows businesses to trade with each other for ITEX currency. The brokerage helps build membership on the ITEX network, and supports local members in earning more business, and spending ITEX currency. Prime Trade NW is the fastest growing ITEX franchise in eastern Washington and northern Idaho. Bartering is a trade of goods and services that has been around for 1000's of years. ITEX is a marketing tool that helps fill capacity in businesses. Most businesses have capacity to sell more, produce more, and service more. Bartering helps everyone stay busy. A business can be on the ITEX bartering network and still be a majority cash business. When accepting ITEX money from one business, you can turn and spend it with another business on the network. Small business owners can spend money for a wide variety of business or personal needs, from computer services to window washing; from trips, to household goods. For more information contact Arthur Shaw, Prime Trade NW, 509-995-3914. After three-and-a-half years of labor, partnerships and dedication, Michael Brown will open Fresh Soul this Thursday, July 19. An East Central neighborhood restaurant that will serve southern style food, Fresh Soul will employ local teens through a job training and mentorship program. 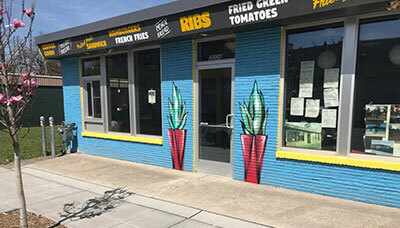 The restaurant, located at 3029 E. Fifth, will work to restore a sense of community within the Spokane neighborhood by inspiring and engaging young people. Fresh Soul offers seating for 38 guests inside with patio seating for another 20. "Fresh Soul is much more than just a restaurant," Brown explained. "We are motivating and teaching our kids skills that will inspire them to continue their education, and provide a platform for success and to find their passion." Three teens have recently completed their ten-week training and mentor program and are ready to help open the doors to Fresh Soul. The teens will work alongside Brown as well as Assistant Manager, Sandra Roberson, and Executive Chef, Mario Hardy. Fresh Soul's menu offers a range of traditional southern style food such as gumbo, jambalaya, ribs and catfish. Fresh Soul's grand opening is Thursday, July 19 at 11am. The restaurant will be open Monday through Saturday from 11am-8pm. For more information, visit Fresh Soul's Facebook page or contact Michael Brown at info@spokaneeastsidereunion.com or 509-995-3606. Answering a long tradition of giving to those most in need, Providence Health Care invested more than $141.7 million in charity and support for local communities in 2017. This investment addresses many of the most urgent health and social issues impacting our communities. - $6.3 million for community health services, grants and donations; and - $100.2 million to cover shortfalls in Medicaid - the difference between the cost of care and what is paid for by state and federal government. A major goal of Providence's 2017 community investment is funding more than medical care. In collaboration with others, Providence identifies and prioritizes social factors in the community that make a population healthy, such as education, housing and access to transportation and nutritious food. The intent is to focus on these issues 'upstream,' proactively helping communities to thrive and impacting the overall cost of care for all people. A new Maverik gas station and convenience store is planned to the corner of US 2 and Hayford Road in Airway Heights. This will be the tenth Maverik station in the area, eight in Spokane and two in north Idaho. Also planned is a location on Ruby and two in Post Falls. The new Airway Heights location will have a total of 16 pumps and a 4,300-square-foot convenience store. 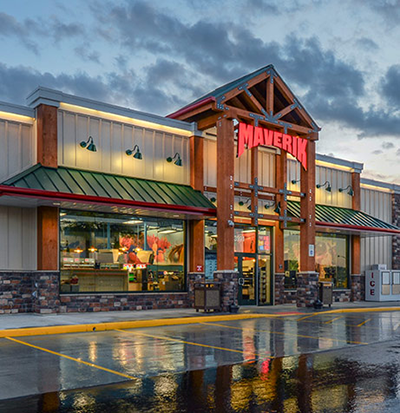 For more info on Maverik, go to maverik.com. In what is believed to be a first for the Spokane area, the Southside Community Center will have a veterinarian working at a Community Center. Starting July 24, Dr. Julie Sowa will be working Tuesday and Thursday mornings from 9am–1pm at the Southside Community Center located at 3151 East 27th Avenue. Her services will be open to everyone, not just members, and by appointment at the Center. Members of the Center will receive a discount. People can call the Center to obtain registration forms and to book an appointment. Call 509-535-0803 for more information and to book appointments. The Journal of Business is launching its search for 2018 Rising Stars, young professionals who are on a trajectory to become Inland Northwest business leaders. The deadline for nominations is August 3. To nominate someone, or for more information, visit spokanejournal.com/rising-stars-nomination. Spokane's Provisional Recruiting + Staffing, the Inland Northwest's leader in specialized recruiting and staffing, came in at 1st place in the Small Companies category of Seattle Business magazine's 100 Best Companies to Work For. The surveys looked at the companies' leadership, benefits, work environment, and employee satisfaction. For more information on Provisional Recruiting + Staffing go to provisional.com.